Cream theme has a comprehensive set of theme options that will help you configure and modify things around your website more easily. Cream theme is built in twitter bootstrap, So it has a fully responsive layout. Your site will look awesome on big screens as well as on tablets and smartphones. This theme is hand coded and its HTML is written keeping in mind your sites good ranking on search engines. The theme has good use of h1,h2,h3 tags. 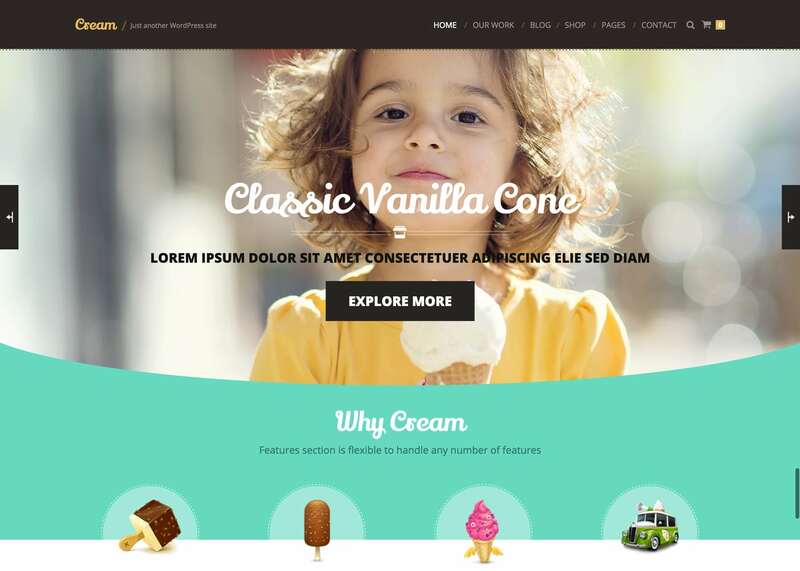 Cream theme comes with the support of WooCommerce Plugin. It’s shop design provides a decent shopping experience for your customers. Cream theme is compatible with WPML plugin. So, You can build your website in multiple languages. It also includes the RTL Languages support. Cream theme comes loaded with revolution slider support, So you can create powerful and great looking slides. This theme provides easy to use styling options, So that you can change the backgrounds and colors throughout website. So, What are you waiting for? Install Cream and take your website to next level.